Last week I discussed some of the important characteristics of a ‘quality’ worm food. In a nutshell, food quality is closely linked to a given material’s ability to support a diverse community of microbes. Those materials with a carbon-to-nitrogen ratio of between 20:1 and 35:1 are generally ideal, but other characteristics of the material, such as particle size and moisture holding ability can also play a vital role in determining how useful it will be as a worm food. This week we’ll get into the topic of animal manure as food for composting worms. It’s a topic we’ve certainly discussed a fair amount in previous newsletters, but also one that is worth revisiting. As I’ve discussed before, various types of manure are pretty well the ‘ultimate’ food for worms. From a food quality (as it pertains to last week’s discussion) perspective this is not too surprising. Manure is absolutely loaded with microorganisms, it generally has a carbon-to-nitrogen ratio in the ideal range, and it has excellent water-holding capabilities. It’s no wonder that aged manure heaps are generally the most common place you can find Red Worms in the ‘wild’. It is essentially an ‘all in one’ material for worms – it promotes growth, stimulates reproduction, and provides the worms with an excellent habitat – one that can help to keep them insulated from fluctuating ambient temperatures and protected from external predators. Of course, it is important to remember that there are many different types of manure – not all of them created equal. While it is safe to say that ALL manures can be used for vermicomposting, most generally need at least some sort of pre-treatment before they can be considered worm-friendly. Some manures can contain high levels of ammonia and/or inorganic salts, both of which happen to be harmful to worms in very low concentrations. Ammonia is toxic to worms at concentration higher than 1 mg/g of manure, while salts can cause harm if they are present in concentrations greater than 0.5% (Edwards, 1988). For some perspective, consider the fact that dairy/steer manure can in some cases contain as much as 5-8% salts (Bogdanov, 1996). In mammal manures it is actually the urine (generally deposited in the same area as the manure) that typically creates most of the ammonia/salt issues. If it’s possible to obtain manure that has not been mixed with urine – as is sometimes the case with Rabbits – you should be able to feed it to your worms sooner. Something else that’s important to keep in mind is the difference between manure as ‘food’ and manure as a ‘bedding’. If you are planning to use manure as a habitat for your worms it is better to pretreat it for longer. If you leave it in a pile outside for 30-60 days it should be in pretty good shape. Alternatively, you could actively compost the material (thermophilically) for a couple of weeks – although this may not be quite as effective for lowering the salt concentration. Both approaches can also be really important when using manure on a large scale since they will reduce the chances of it heating up once added to your vermicomposting system. A good way to determine if manure is ready to be used for bedding is via a simple smell test. If the material still smells strongly of manure it may not be ready yet – it’s not a bad idea to wait until it has a bit more of an earthy smell to it (some manure smell is ok though). It’s also never a bad idea to test the material out on a small scale before going gangbusters with it. Just put some in a small tub and add a handful of worms. Let them sit for 12 hours or so and see how they respond – obviously if they die or crawl out of the material really quickly it isn’t ready yet. Once you have the ‘habitat’ (bedding) ready to go and your worms have been added, it is not nearly as much of an issue to add fresh manure directly on top, since the worms can easily avoid the material until it is ready. The only thing to keep in mind with this approach is that salt concentrations may build up in your beds over time. 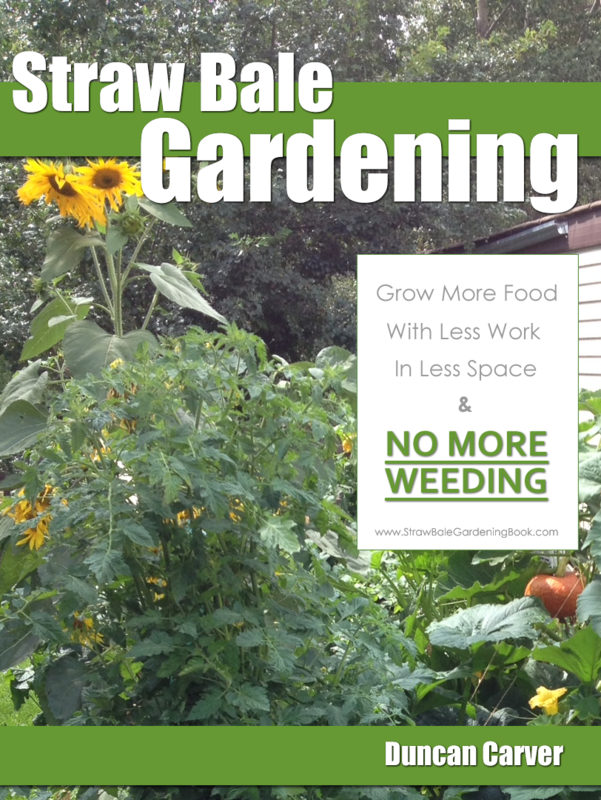 As such you may want to soak and drain any fresh manure with water before using it, or periodically soak and drain your worm bed (assuming you don’t have plans to produce high quality worm castings). 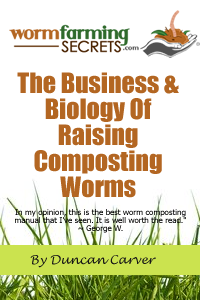 Based on my own personal experience with using manures, along with a wide range of other materials, in my vermicomposting systems, I can honestly say that I haven’t yet found a material that promotes the growth of Red Worms the way manure does. I recently wrote on my blog about the jumbo red worms I found a couple of weeks ago in an old manure pile at the stable where a friend keeps her horses. Not only are they much larger than any of the food-waste-fed Red Worms I’ve had in my bins over the years, but they are also much more lively – certainly living up to their ‘Red Wiggler’ nickname. Some might assume that they are simply a different species of worm, but I suspect the large size is solely due to the increased nutrition derived from manure. Aside from that, I actually obtained a lot of young worms from the same pile back in the early spring and they simply grew to the ‘normal’ sized adults I am used to seeing in my home bins. Stay tuned for next week’s newsletter, in which we’ll get into some of the other waste materials that can be used as food for your composting worms.